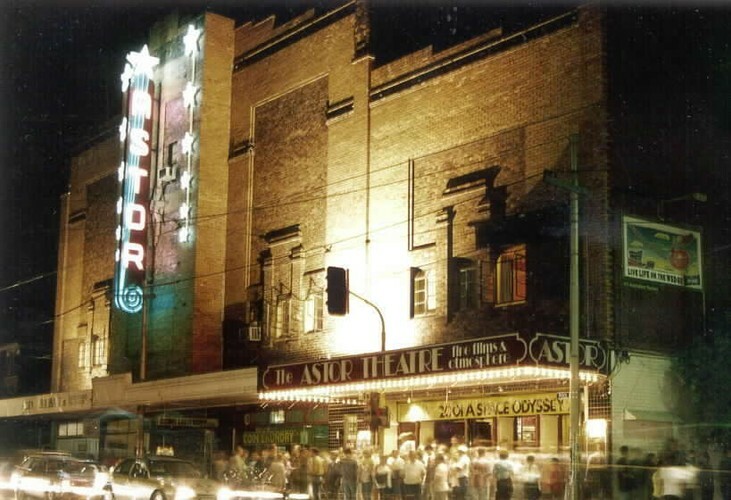 The Astor Theatre is a cinema in the grand, old manner. The theatre's proud boast is Fine Films and Atmosphere and the varied programme and "old-world" charm reflect this. When you walk into The Astor you are transported back to the days when going to the cinema was an event. The cinema was built in the 1930s and still retains the art-deco charm of that period. You are greeted by soft lighting and gentle music - you can relax in the somewhat-overstuffed chairs and enjoy some of The Astor's famous cake. The Astor Theatre is a classic, single-screen cinema with stalls and a dress circle - the overall seating capacity of 1,150 is reduced from the original 1,700 - and the auditorium has the same, soft ambience that you will have enjoyed in the foyers. Beautiful curtains cover the screen - there are no jarring, advertising slides to greet you! But there is nothing "old-fashioned" about The Astor's facilities. The fully-air-conditioned cinema boasts a state-of-the-art sound system and a new, giant screen. The Astor specialises in 70mm presentations but the general programming is for a different double feature (yes, a double feature) on most evenings of the week with regular matinees on Sundays. There are also some special, single-feature sessions (many at a reduced price). The aim of everybody at The Astor is to give you a movie-going experience that is second-to-none!